Secretary of State Mike Pompeo said the symptoms were “entirely consistent" with the 21 embassy staffers who were sickened in Cuba due to sonic incidents. BEIJING — China said Thursday it has no clue what happened to a U.S. consular worker who suffered a mild brain injury from mysterious "sensations of sound and pressure" in an incident prompting fears of a sonic attack. 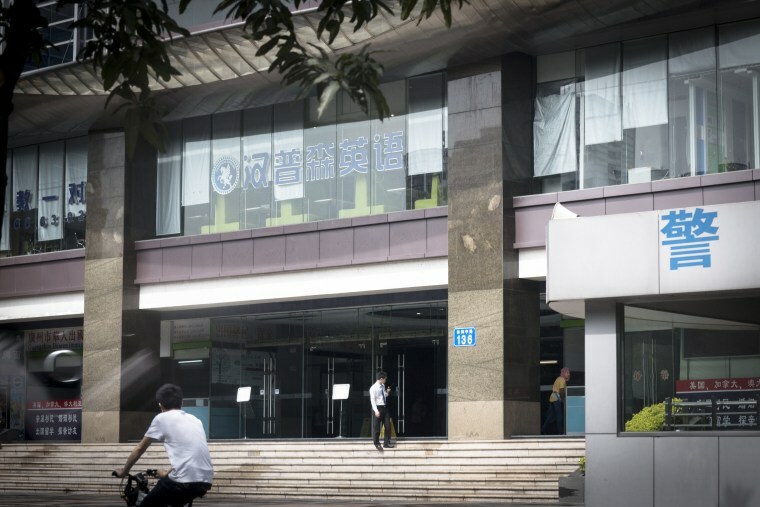 The State Department issued a health alert to U.S. citizens in China after the employee was sickened earlier this month in the southern port city of Guangzhou. Secretary of State Mike Pompeo said Wednesday that the medical symptoms were “very similar” and “entirely consistent with” the cases of 21 embassy staffers and their families in Cuba who became ill last year in unexplained sonic incidents. Pompeo later said he raised the issued personally with Chinese Foreign Winister Wang Yi, who was in Washington for trade talks. In Beijing, Chinese Foreign Ministry spokeswoman spokesperson Lu Kang, repeated the denial at a daily press briefing. The State Department will send a medical team to Guangzhou early next week to conduct medical evaluations of all consulate employees who request it, spokeswoman Heather Nauert said. China's nationalistic state-run Global Times tabloid said in a commentary that it was "very inappropriate" that the United States issued a public health alert despite only having a "vague understanding" of the situation. The U.S. in October expelled 15 Cuban diplomats from the United States for what it said was Cuba's failure to protect staff at the U.S. embassy in Havana from mysterious health incidents at one point thought to possibly have been sonic "attacks". It also withdrew the affected American staff from Cuba. They had reported symptoms including hearing loss, dizziness, fatigue and cognitive issues. Cuban officials dismissed the idea of acoustic strikes as "science fiction" and accused Washington of slander. Neither government has determined who is responsible. "Some very bad things happened in Cuba," President Donald Trump said at the time. "They did some bad things." Mac William Bishop reported from Beijing, and Alastair Jamieson reported from London.